So Viking Kayaks USA planned an awesome extended weekend trip to Louisiana for the beginning of September. 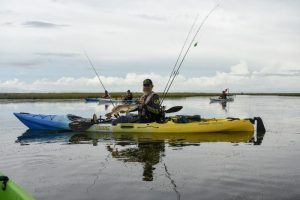 This was to follow the Paddlesports Retailer show where we announced some new products and would be a great opportunity for camaraderie as well as seat time in the new equipment. 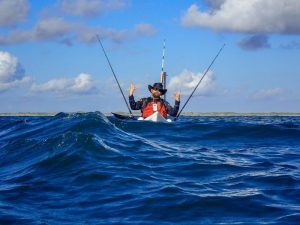 The owner of Viking Kayaks, Grant Montague, even flew in from New Zealand to attend. As the date drew closer we were watching a little system in the Gulf developing and had to make the call about proceeding. 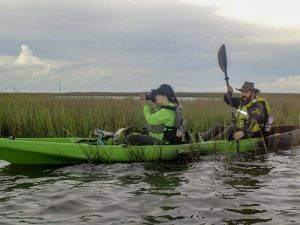 A quick call to a great local resource, www.bayouadventure.com , let us know about some potential flooding issues and we decided to cancel the trip. 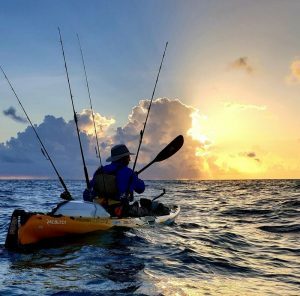 Now everyone in kayak fishing knows that as soon as you call off a road trip due to weather, the weather will immediately get better. And it did. So now what? It turns out the Grant has never been offshore fishing in Texas nor has he chased a skinny water redfish. Our team decided that in the spirit of the kayak fishing community worldwide, this must be remedied. 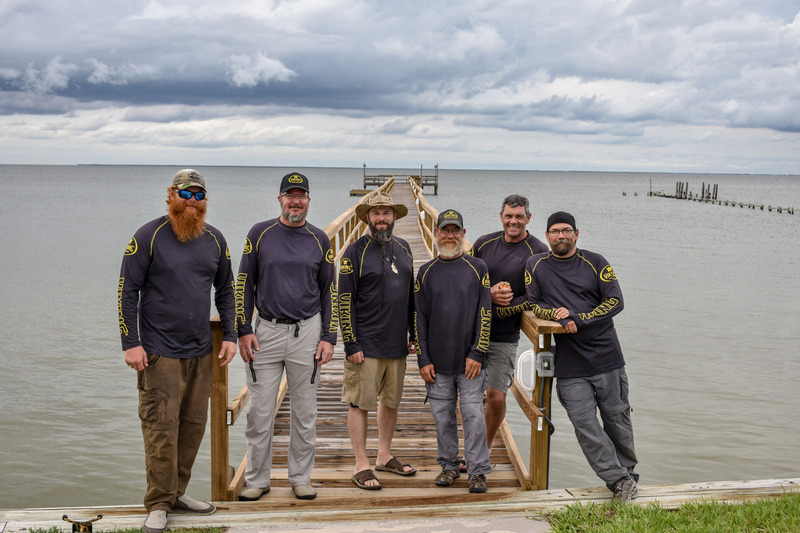 Doug Gresenz, Scott Brumbaugh, Rick Spillman, Glenn Madden, and myself decide it is time for a Viking Invasion on the Texas coast. Some calls and messages were exchanged and we decided to have an impromptu gathering in Rockport,Texas to get our leader on some fish. 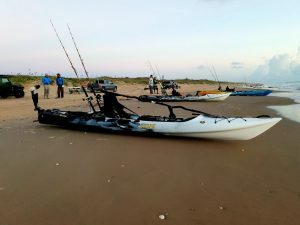 Friday night most of the guys load up and head down to Padre Island National Seashore to get an early start Saturday morning. The offshore bite was light but still had some great opportunities for Grant to get a few new species checked off his list. 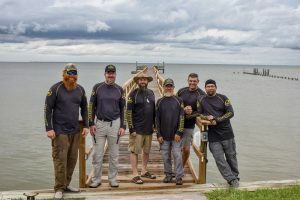 This turned out to be a learning experience for all as the differences in techniques between the Kiwis and Texans fishing styles were observed. I believe we all came away with new ideas. Grant also demonstrated the advantages of the Bixpy jet for getting to and from the far rigs as well as maintaining position over bait balls when targeting fish. The battery life surely impressed Scott as Grant whizzed past him back to the beach after being out for hours. The ease of switching from the motorized rudder to standard rudder in less than a minute was also noticed by all of us. Sunday the local weather started out dismal but we decided to give it a go. We were dead set on getting Grant the thrill of a topwater red. Luck shined on us when the weather broke just as we pulled up to the launch site, so we quickly got rigged and off we went. My wife and I decided to give the new tandem Tempo2 a try and were we surprised at how well it performed. 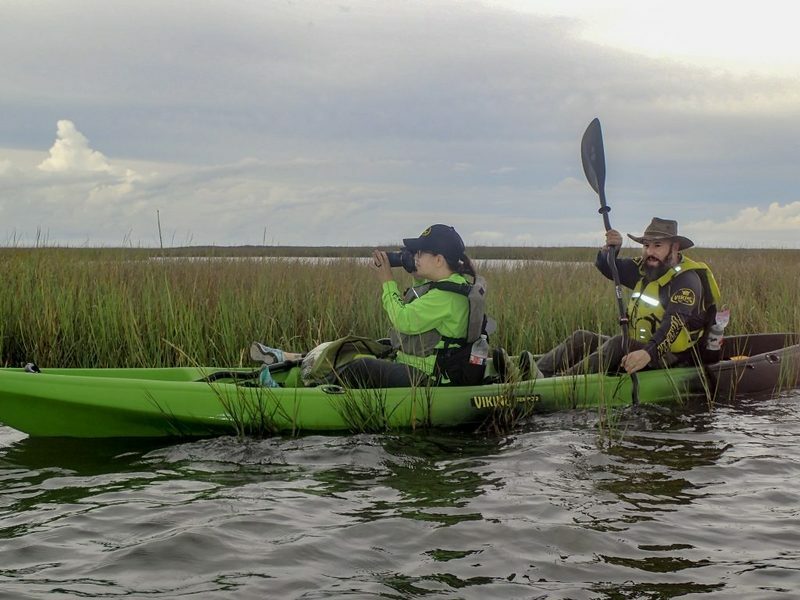 With both of us paddling there was no clash of our paddles even when we got out of sync, and that kayak can move faster than we expected. It was rock solid stable even when I stood up and was no problem when I was paddling solo while my wife took some photos. The fishing was great in the shallows, Rick started off with a nice red and even a medium gar. 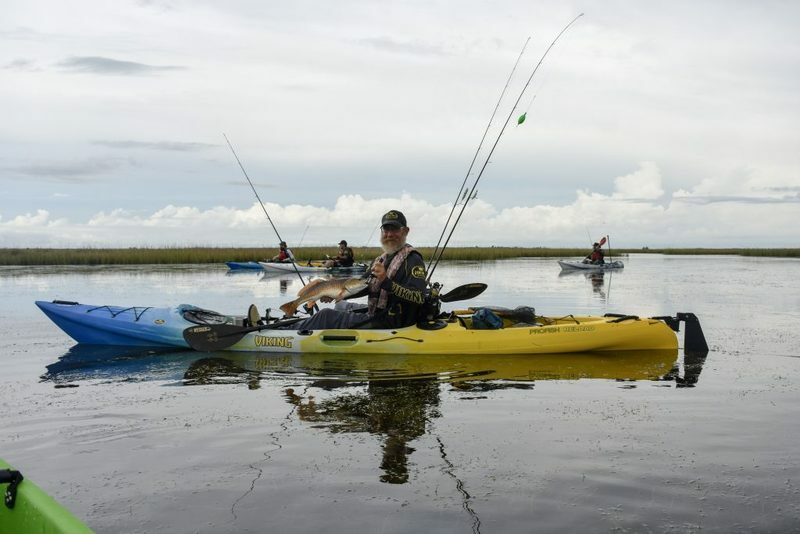 Then there was a shout of excitement as Grant got to experience a topwater blowup redfish. I think that moment showed him why we like to chase those pumpkins. 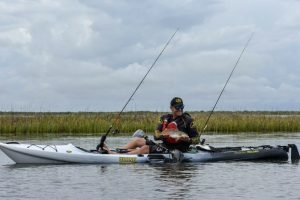 A few more hours paddling around marshes and flats let him land a couple more and really see what Texas skinny water fishing was all about. 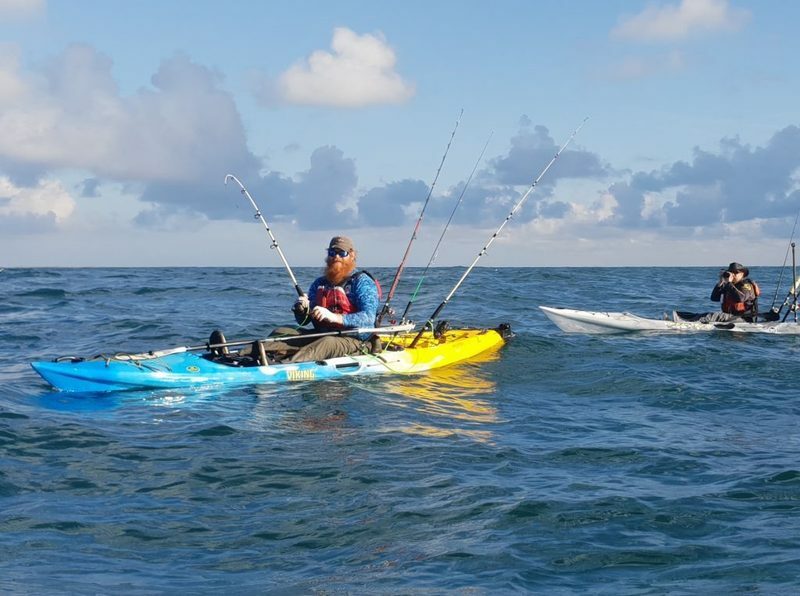 Later that day we met up back on land to discuss the future of Viking kayaks in the US. It was nice to have the direct conversation between us and Grant while he listened to our feedback on the new models as well as current offerings. He really got to see that Vikings perform just as well in 60 feet or 6 inches. As the sun wound down so did our time together but not the enthusiasm for the coming year. We had a renewed sense of excitement for the brand we already loved and a deeper connection to the people they make these versatile kayaks. We are all now reveling in the glow of the trip that almost wasn’t.